17.Assaf Y, Johansen-Berg H, Thiebaut de Schotten M. 2018 The role of diffusion MRI in neuroscience.pdf NMR in Biomedicine. 30.Urbanski M, Brechemier ML, Garcin B, Bendetowicz D, Thiebaut de Schotten M, Foulon C, Rosso C, Clarencon F, Dupont S, Pradat-Diehl P, Labeyrie MA, Levy R, Volle E. 2016 Reasoning by analogy requires the left frontal pole_lesion-deficit mapping and clinical implications.pdf Brain 139:1783-1799. 31.D’Anna L, Mesulam MM, Michel Thiebaut de Schotten M, Dell’Acqua F, Murphy D, Wieneke C, Martersteck A, Cobia D, Rogalski E, Catani M. 2016 Frontotemporal networks and behavioral symptoms in primary progressive aphasia.pdf Neurology 86:1393-1399. 32.Catani M, Dell’Acqua F, Budisavljevic S, Howells H,Thiebaut de Schotten M, Froudist-Walsh S,D’Anna L,Thompson A, Sandrone S, Bullmore ET, Suckling J, Baron-Cohen S, Lombardo MV, Wheelwright SJ, Chakrabarti B, Lai MC, Ruigrok ANV, Leemans A,Ecker C, MRC AIMS Consortium, Craig MC,Murphy DGM. 2016 Frontal networks in adults with autism spectrum disorder.pdf Brain 139:616-630. 34.Rojkova K, Volle E, Urbanski M, Humbert F, Dell'Acqua F, Thiebaut de Schotten M. 2016. Atlasing the frontal lobe connections and their variability due to age and education_a spherical deconvolution tractography study.pdf Brain structure & function 221:1751-1766. 36.Cerliani L, Mennes M, Thomas RM, Di Martino A, Thioux M, Keysers C. 2015. Increased Functional Connectivity Between Subcortical and Cortical Resting-State Networks in Autism Spectrum Disorder. JAMA psychiatry 72:767-777. 37.Cavedo E, Lista S, Khachaturian Z, Aisen P, Amouyel P, Herholz K, Jack CR Jr, Sperling R, Cummings J, Blennow K, O'Bryant S, Frisoni GB, Khachaturian A, Kivipelto M, Klunk W, Broich K, Andrieu S, de Schotten MT, Mangin JF, Lammertsma AA, Johnson K, Teipel S, Drzezga A, Bokde A, Colliot O, Bakardjian H, Zetterberg H, Dubois B, Vellas B, Schneider LS, Hampel H. 2014. 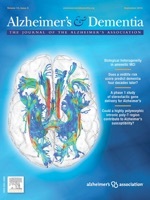 The Road Ahead to Cure Alzheimer's Disease_Development of Biological Markers and Neuroimaging Methods for Prevention Trials Across all Stages and Target Populations.pdf J Prev Alzheimers Dis. 39.Lunven M, Thiebaut De Schotten M, Bourlon C, Duret C, Migliaccio R, Rode G, Bartolomeo P. 2015. White matter lesional predictors of chronic visual neglect_a longitudinal study.pdf Brain 138:746-760. 40.Ćurčić-Blake B, Nanetti L, van der Meer L, Cerliani L, Renken R, Pijnenborg GH, Aleman A. 2015. Not on speaking terms: hallucinations and structural network disconnectivity in schizophrenia. Brain Struct Funct. 41.Lecce F, Rotondaro F, Bonni S, Carlesimo A, Thiebaut de Schotten M, Tomaiuolo F, Doricchi F. 2015. Cingulate neglect in humans_Disruption of contralesional reward learning in right brain damage.pdf Cortex 62:73-88. 42.Nieuwenhuys R, Broere CA, Cerliani L. 2014. A new myeloarchitectonic map of the human neocortex based on data from the Vogt-Vogt school. Brain Struct Funct. 43.Bouhali F, Thiebaut de Schotten M, Pinel P, Poupon C, Mangin JF, Dehaene S, Cohen L. 2014. Anatomical Connections of the Visual Word Form Area.pdf. The Journal of neuroscience : the official journal of the Society for Neuroscience 34:15402-15414. 44.Aichelburg C, Urbanski M, Thiebaut de Schotten M, Humbert F, Levy R, Volle E. 2014. Morphometry of Left Frontal and Temporal Poles Predicts Analogical Reasoning Abilities.pdf Cereb Cortex. 45.Engel A, Hijmans BS, Cerliani L, Bangert M, Nanetti L, Keller PE, Keysers C. 2014. Inter-individual differences in audio-motor learning of piano melodies and white matter fiber tract architecture. Hum Brain Mapp. 46.Forkel SJ, Thiebaut de Schotten M, Dell'Acqua F, Kalra L, Murphy DG, Williams SC, Catani M. 2014. Anatomical predictors of aphasia recovery- a tractography study of bilateral perisylvian language networks.pdf Brain 137:2027-2039. 47.Vergani F, Lacerda L, Martino J, Attems J, Morris C, Mitchell P, Thiebaut de Schotten M, Dell'Acqua F. 2014. White matter connections of the supplementary motor area in humans.pdf J Neurol Neurosurg Psychiatry 85:1377-1385. 48.Radua J, Grau M, van den Heuvel OA, Thiebaut de Schotten M, Stein DJ, Canales-Rodriguez EJ, Catani M, Mataix-Cols D. 2014. Multimodal Voxel-Based Meta-Analysis of White Matter Abnormalities in Obsessive-Compulsive Disorder.pdf Neuropsychopharmacology 39:1547-1557. 49.Bartolomeo P, Bachoud-Levi AC, Thiebaut de Schotten M. 2014. The anatomy of cerebral achromatopsia_A reappraisal and comparison of two case reports.pdf Cortex 56:138-144. 50.Thiebaut de Schotten M, Urbanski M, Valabregue R, Bayle DJ, Volle E. 2014. Subdivision of the occipital lobes_an anatomical and functional MRI connectivity study.pdf Cortex 56:121-137. 51.Thiebaut de Schotten M, Cohen L, Amemiya E, Braga LW, Dehaene S. 2014. Learning to read improves the structure of the arcuate fasciculus.pdf Cereb Cortex 24:989-995. 52.Thiebaut de Schotten M, Tomaiuolo F, Aiello M, Merola S, Silvetti M, Lecce F, Bartolomeo P, Doricchi F. 2014. Damage to White Matter Pathways in Subacute and Chronic Spatial Neglect.pdf Cereb Cortex 24:691-706. 53.Forkel SJ, Thiebaut de Schotten M, Kawadler JM, Dell'Acqua F, Danek A, Catani M. 2014. The anatomy of fronto-occipital connections from early blunt dissections to contemporary tractography.pdf Cortex 56:73-84. 54.Catani M, Dell'acqua F, Thiebaut de Schotten M. 2013. A revised limbic system model for memory, emotion and behaviour.pdf Neurosci Biobehav Rev 37:1724-1737. 55.Catani M, Mesulam MM, Jakobsen E, Malik F, Martersteck A, Wieneke C, Thompson CK, Thiebaut de Schotten M, Dell'Acqua F, Weintraub S, Rogalski E. 2013. A novel frontal pathway underlies verbal fluency in primary progressive aphasia.pdf Brain 136:2619-2628. 56.Catani M, Thiebaut de Schotten M, Slater D, Dell'Acqua F. 2013. Connectomic approaches before the connectome.pdf Neuroimage 80:2-13. 58.Cerliani L, Thomas RM, Jbabdi S, Siero JC, Nanetti L, Crippa A, Gazzola V, D'Arceuil H, Keysers C. 2012. Probabilistic tractography recovers a rostrocaudal trajectory of connectivity variability in the human insular cortex. Hum Brain Mapp. 59.Catani M, Dell'acqua F, Bizzi A, Forkel SJ, Williams SC, Simmons A, Murphy DG, Thiebaut de Schotten M. 2012. Beyond cortical localisation in clinico-anatomical correlation.pdf Cortex 48:1262-1287. 60.Hayman LA, Kumar VA, Hamilton J, Prabhu SS, Thiebaut de Schotten M, Al-Zubidi N, Pagani J, Vabulas M, Groneman M, Kumar AJ. 2012. Deformable Anatomic Templates Embed Knowledge Into Patient’s Brain Images_Part 1. Construction and Display.pdf J Comput Assist Tomogr 36:354-359. 61.Bartolomeo P, Thiebaut de Schotten M, Chica AB. 2012. Brain network for spatial awareness Evidence from diffusion tensor tractography.pdf Front Hum Neurosci 6:110. 62.Thiebaut de Schotten M. 2012. Right brain dominance in visuospatial attention analysed by DTI tractography.pdf Med Sci (Paris) 28:21-23. 63.Bourgeois A, Chica AB, Migliaccio R, Thiebaut de Schotten M, Bartolomeo P. 2012. Cortical control of inhibition of return_Evidence from patients with inferior parietal damage and visual neglect.pdf Neuropsychologia 50:800-809. 64.Catani M, Dell'acqua F, Vergani F, Malik F, Hodge H, Roy P, Valabregue R, Thiebaut de Schotten M. 2012. Short frontal lobe connections of the human brain.pdf Cortex 48:273-291. 65.Thiebaut de Schotten M, Dell'Acqua F, Valabregue R, Catani M. 2012. Monkey to human comparative anatomy of the frontal lobe association tracts Cortex.pdf Cortex 48:82-96. 66.Crippa A, Cerliani L, Nanetti L, Roerdink JB. 2011. Heuristics for connectivity-based brain parcellation of SMA/pre-SMA through force-directed graph layout. Neuroimage. 67.Thiebaut de Schotten M, Dell'Acqua F, Forkel SJ, Simmons A, Vergani F, Murphy DG, Catani M. 2011. A lateralized brain network for visuo-spatial attention.pdf Nat Neurosci 14:1245-1246. 69.Zappala G, Thiebaut de Schotten M, Eslinger PJ. 2012. Traumatic brain injury and the frontal lobes_what can we gain with diffusion tensor imaging.pdf Cortex 48:156-165. 70.Kas A, de Souza LC, Samri D, Bartolomeo P, Lacomblez L, Kalafat M, Migliaccio R, Thiebaut de Schotten M, Cohen L, Dubois B, Habert MO, Sarazin M. 2011. Neural correlates of cognitive impairment in posterior cortical atrophy.pdf Brain 134:1464-1478. 71.Atsak P, Orre M, Bakker P, Cerliani L, Roozendaal B, Gazzola V, Moita M, Keysers C. 2011. Experience modulates vicarious freezing in rats: a model for empathy. PLoS One. 72.Ius T, Angelini E, Thiebaut de Schotten M, Mandonnet E, Duffau H. 2011. Evidence for potentials and limitations of brain plasticity using an atlas of functional resectability of WHO grade II gliomas_Towards a minimal common brain.pdf Neuroimage 56:992-1000. 73.Chica AB, Thiebaut de Schotten M, Toba M, Malhotra P, Lupianez J, Bartolomeo P. 2012. Attention networks and their interactions after right-hemisphere damage.pdf Cortex 48:654-663. 74.Urbanski M, Thiebaut de Schotten M, Rodrigo S, Oppenheim C, Touze E, Meder JF, Moreau K, Loeper-Jeny C, Dubois B, Bartolomeo P. 2011. DTI-MR tractography of white matter damage in stroke patients with neglect.pdf Exp Brain Res 208:491-505. 75.Thiebaut de Schotten M, Ffytche DH, Bizzi A, Dell'Acqua F, Allin M, Walshe M, Murray R, Williams SC, Murphy DG, Catani M. 2011. Atlasing Location, Asymmetry and Inter-Subject Variability of White Matter Tracts in the Human Brain with MR Diffusion Tractography.pdf Neuroimage 54:49-59. 76.Andrade K, Samri D, Sarazin M, de Souza LC, Cohen L, Thiebaut de Schotten M, Dubois B, Bartolomeo P. 2010. Visual Neglect in Posterior Cortical Atrophy.pdf BMC Neurol 10:68. 77.Pugliese L, Catani M, Ameis S, Dell'Acqua F, Thiebaut de Schotten M, Murphy C, Robertson D, Deeley Q, Daly E, Murphy DG. 2009. The anatomy of Extended Limbic Pathways in Asperger Syndrome A preliminary Diffusion Tensor Imaging Tractography Study.pdf Neuroimage 47:427-434. 78.Catani M, Thiebaut de Schotten M. 2008. A diffusion tensor atlas for virtual in vivo dissections.pdf Cortex 44:1105-1132. 79.Nanetti L, Cerliani L, Gazzola V, Renken R, Keysers C. 2009. 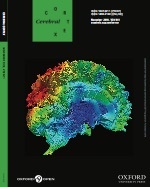 Group analyses of connectivity-based cortical parcellation using repeated k-means clustering. Neuroimage. 80.Doricchi F, Thiebaut de Schotten M, Tomaiuolo F, Bartolomeo P. 2008. White matter disconnections and gray matter dysfonctions in visual neglect.pdf Cortex 44:983-995. 81.Thiebaut de Schotten M, Kinkingnehun S, Delmaire C, Lehericy S, Duffau H, Thivard L, Volle E, Levy R, Dubois B, Bartolomeo P. 2008. Visualization of disconnection syndromes in humans.pdf Cortex 44:1097-1103. 82.Duffau H, Thiebaut de Schotten M, Mandonnet E. 2008. White matter functional connectivity as an additional landmark for dominant temporal lobectomy.pdf J Neurol Neurosurg Psychiatry 79:492-495. 83.Volle E, Kinkingnehun S, Pochon JB, Mondon K, Thiebaut de Schotten M, Seassau M, Duffau H, Samson Y, Dubois B, Levy R. 2008. The functional architecture of the left posterior and lateral prefrontal cortex in humans.pdf Cereb Cortex 18:2460-2469. 84.Bartolomeo P, Thiebaut de Schotten M, Duffau H. 2007. Mapping of visuospatial functions during brain surgery_a new tool to prevent unilateral spatial neglect.pdf Neurosurgery 61:E1340. 85.Urbanski M, Thiebaut de Schotten M, Rodrigo S, Catani M, Oppenheim C, Touze E, Chokron S, Meder JF, Levy R, Dubois B, Bartolomeo P. 2008. Brain network for spatial awareness Evidence from diffusion tensor tractography.pdf J Neurol Neurosurg Psychiatry 79:598-601. 86.Urbanski M, Angeli V, Bourlon C, Cristinzio C, Ponticorvo M, Rastelli F, Thiebaut de Schotten M, Bartolomeo P. 2007. Unilateral spatial neglect a dramatic but often neglected consequence of right hemisphere damage.pdf. Rev Neurol (Paris) 163:305-322. 87.Bartolomeo P, Thiebaut de Schotten M, Doricchi F. 2007. Left unilateral Neglect as a disconnection Syndrome.pdf Cereb Cortex 17:2479-2490. 88.Thiebaut de Schotten M, Bartolomeo P. 2006. 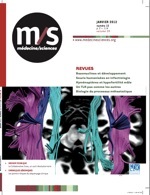 Neuro-anatomy of space processing.pdf Med Sci (Paris) 22:105-107. 89.Sacco K, Cauda F, Cerliani L, Mate D, Duca S, Geminiani GC. 2006. Motor imagery of walking following training in locomotor attention. The effect of "the tango lesson". Neuroimage. 90.Thiebaut de Schotten M, Urbanski M, Duffau H, Volle E, Levy R, Dubois B, Bartolomeo P. 2005. Direct evidence for a parietal-frontal pathway subserving spatial awareness in humans.pdf Science 309:2226-2228. 91.Catani M and Thiebaut de Schotten M 2012 Atlas of Human Brain Connections. OUP. 92.Thiebaut de Schotten M and Bartolomeo P 2011. New insights into neurocognition provided by brain mapping visuospatial cognition.pdf Springer. 93.Catani M, Forkel S and Thiebaut de Schotten M 2011. Asymmetry of White Matter Pathways.pdf MIT.